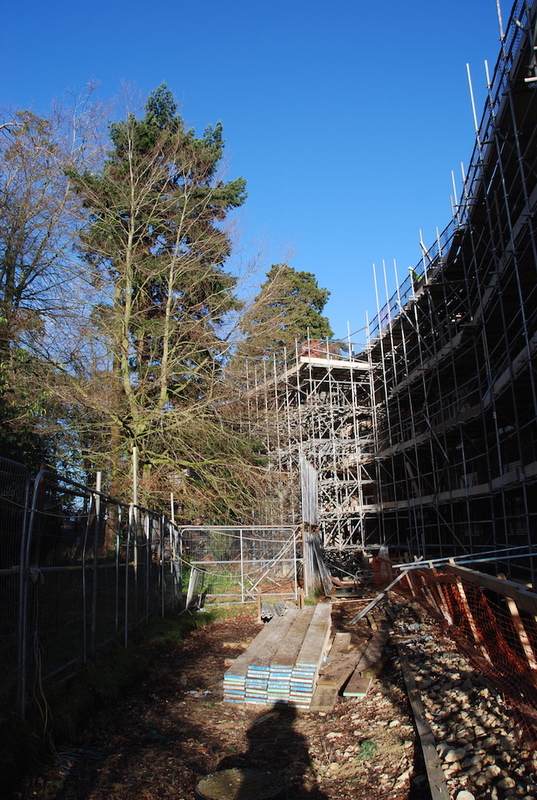 This development, situated in an Area of Outstanding Natural Beauty, in West Berkshire, contains 80 protected trees and a colony of long-eared bats. 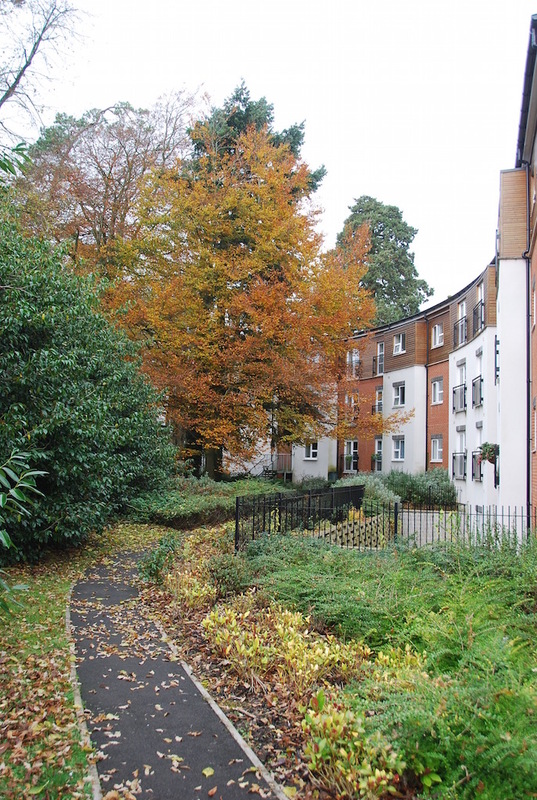 Trees were therefore integral to the design process and arboricultural supervision was critical to ensure tree protection plans were fulfilled. 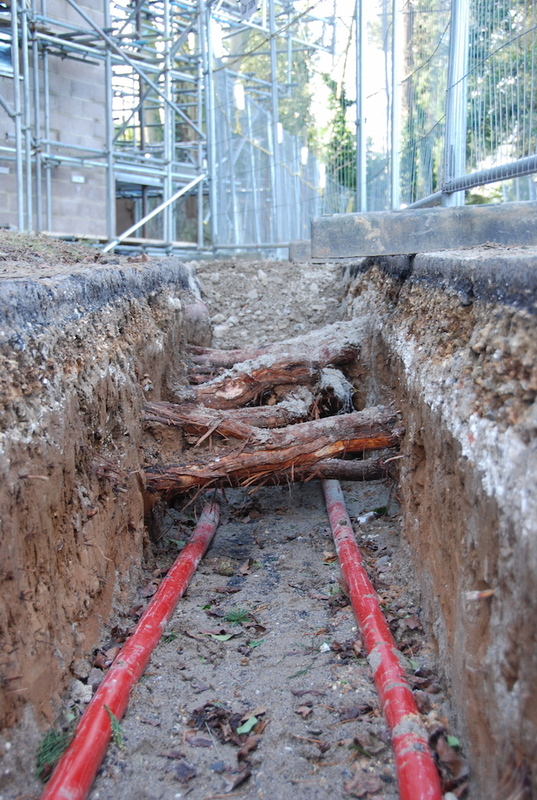 To satisfy planning conditions, a programme of arboricultural supervision visits was agreed with the contractor, Leadbitter Construction. Following each visit a report and photographic record was circulated to the project team and the local authority Tree Officer. 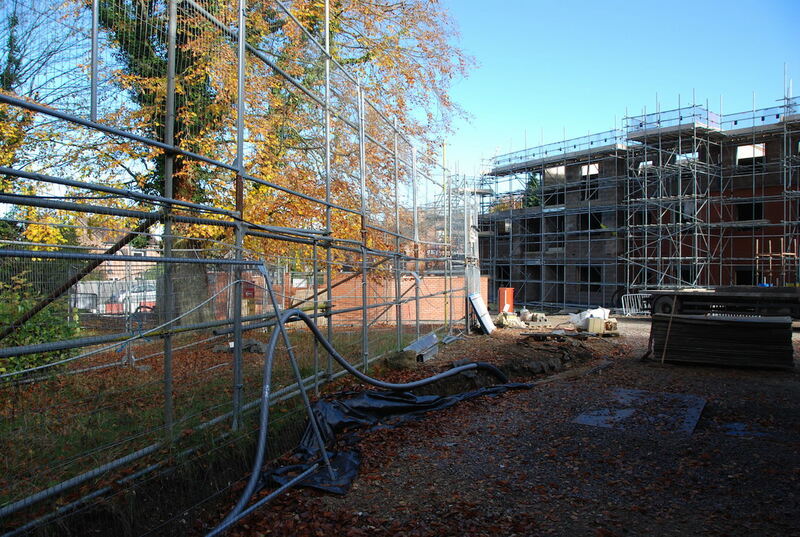 Double height Tree Protection Fencing was included to provide canopy, as well as root, protection. One particular challenge was the installation of a high voltage electricity cable through an area of woodland and close to a mature wellingtonia. This involved liaison with the utility company and hand digging using an air spade to allow the threading of high voltage cables under the roots. Arboricultural Site Supervision is essential on more complex projects to ensure trees are protected.